Winter is over and Spring is here! 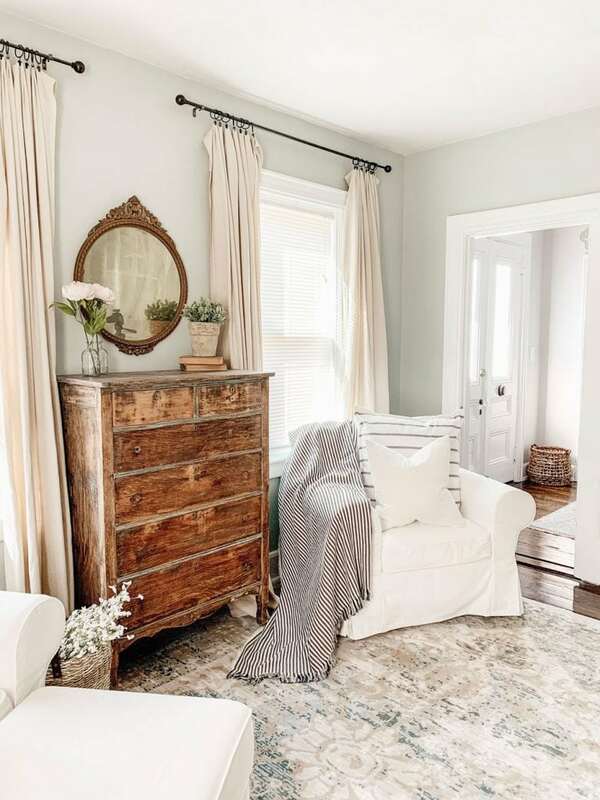 Spring is the perfect time to freshen up your home. 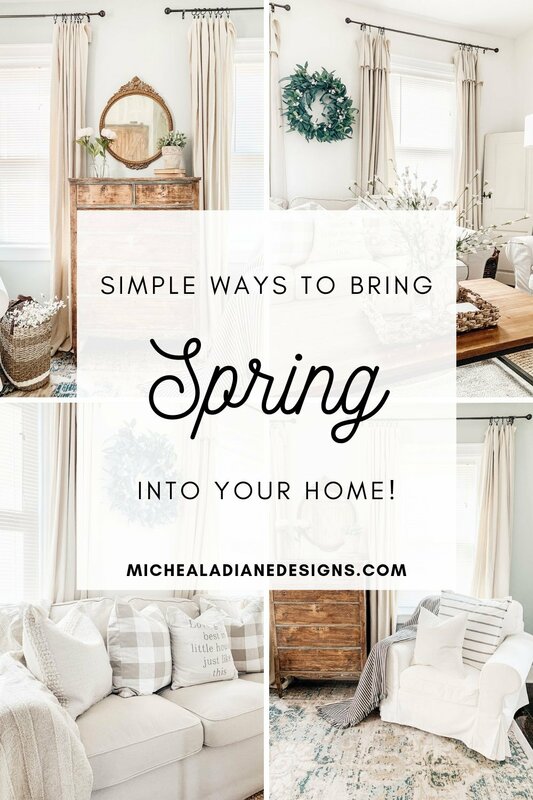 Today I am sharing some simple way to bring Spring into your home. As well as a tour of how I added Spring to my own home. If you are anything like me, you have been ready for spring since the beginning of winter! Can you tell I’m excited it’s finally here? As I type this it is currently 60 degrees out, which after this cold winter feels so good. The last few weekends we have been busy preparing our home for spring and warmer temps. 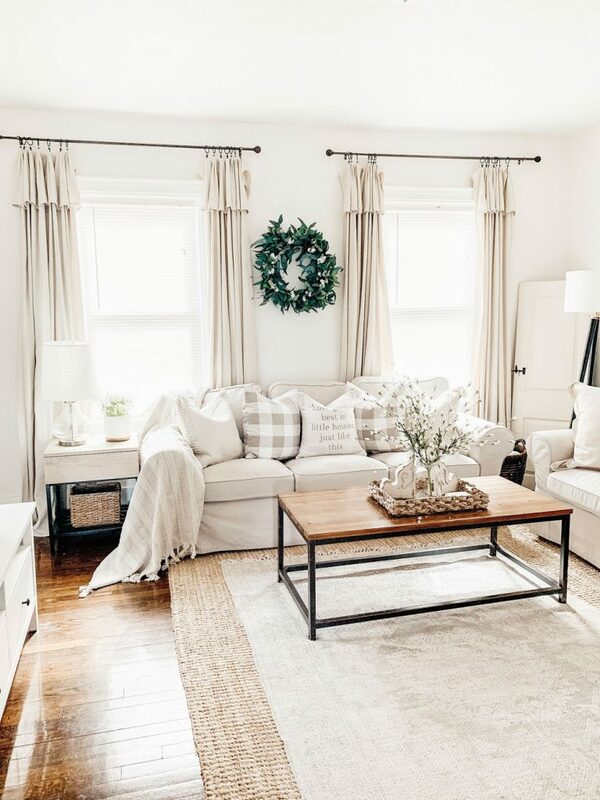 I wanted to share with you exactly how we bring spring into our home and how you can too. 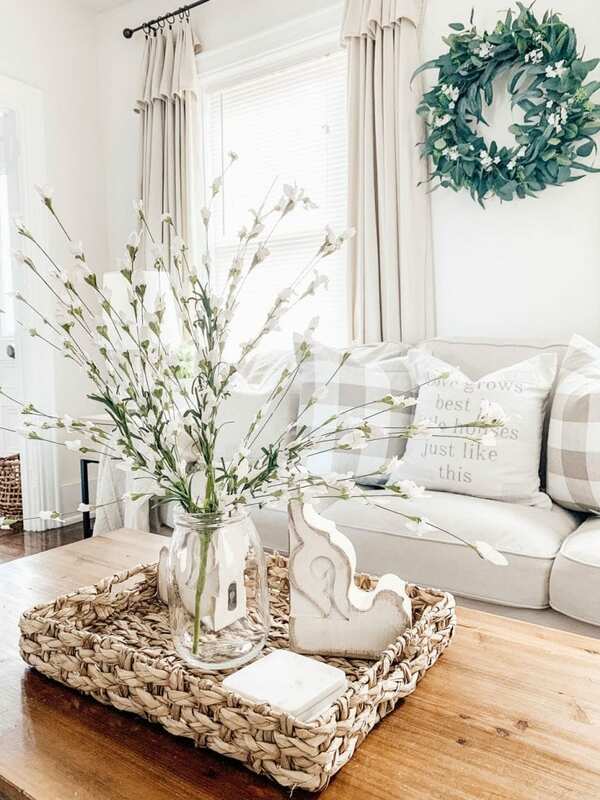 Spring cleaning we have all heard the phrase and it really is the perfect time to give your house a deep clean. If you live somewhere that is cold in the winter it is even more important. I know for me we have had the house closed up for months and it feels so good to open the windows and clean some of the areas that we have neglected over the winter. 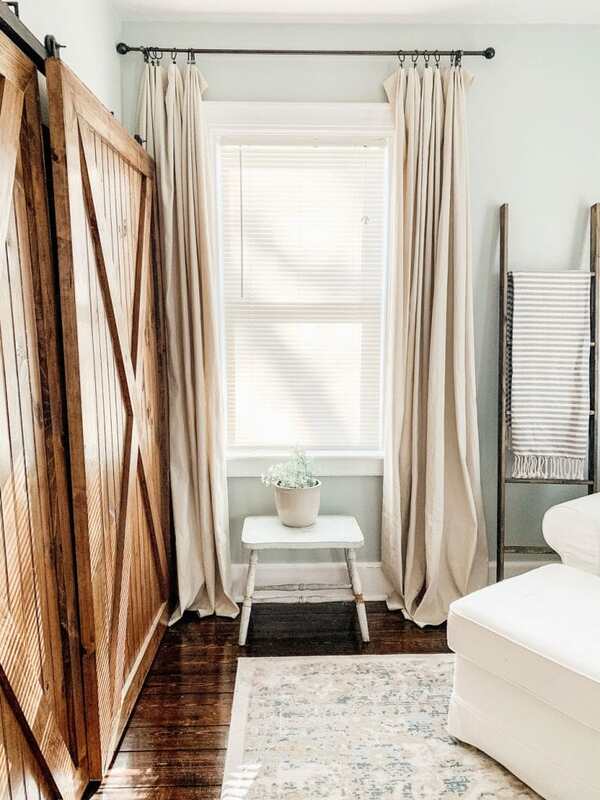 Like washing the windows, the curtains, our slipcover couches, airing our rugs out and cleaning the floor under them, organizing closets and dusting off all the things. This is also the time to put away any winter decor and purge anything you no longer love. 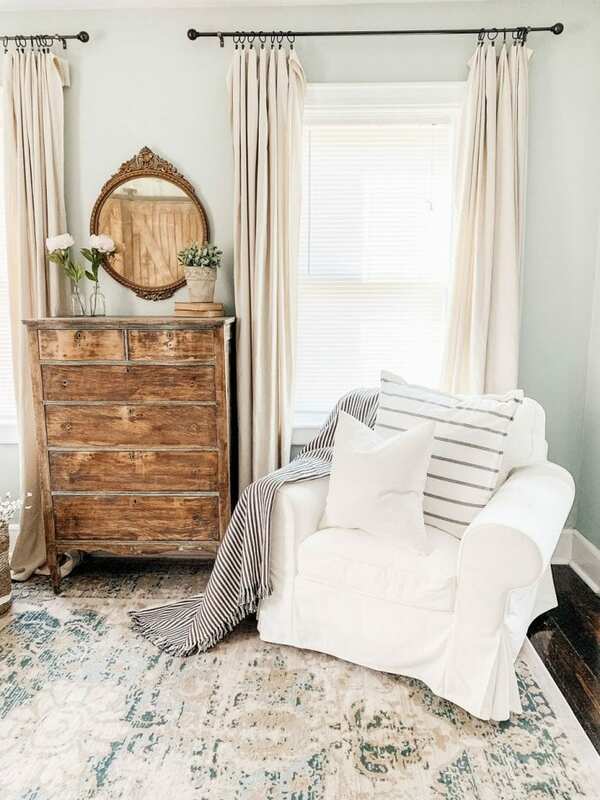 This will leave you with a clean slate to add some spring decor and I promise a fresh clean house is going to give you all the spring vibes. Spring is all about light colors, and lightweight fabrics and textures. 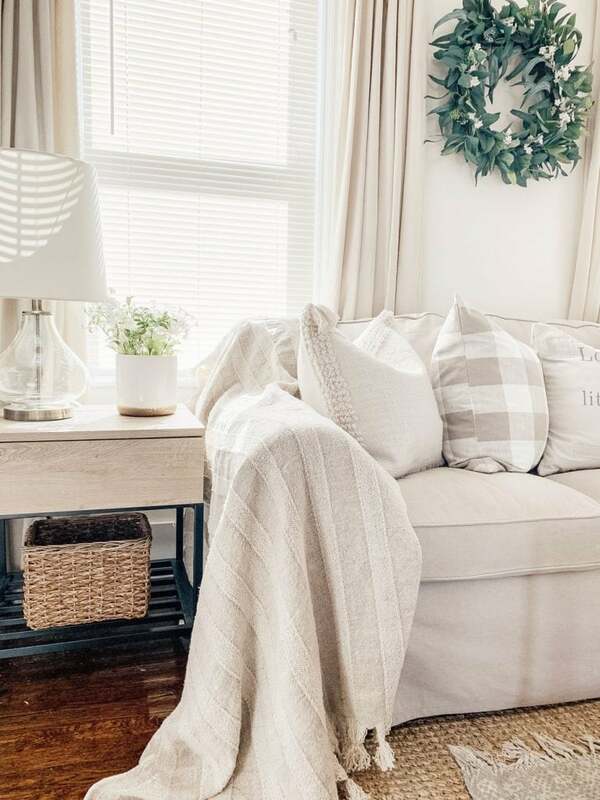 It’s time to put away all your heavy blankets, knit pillows, and dark colors. 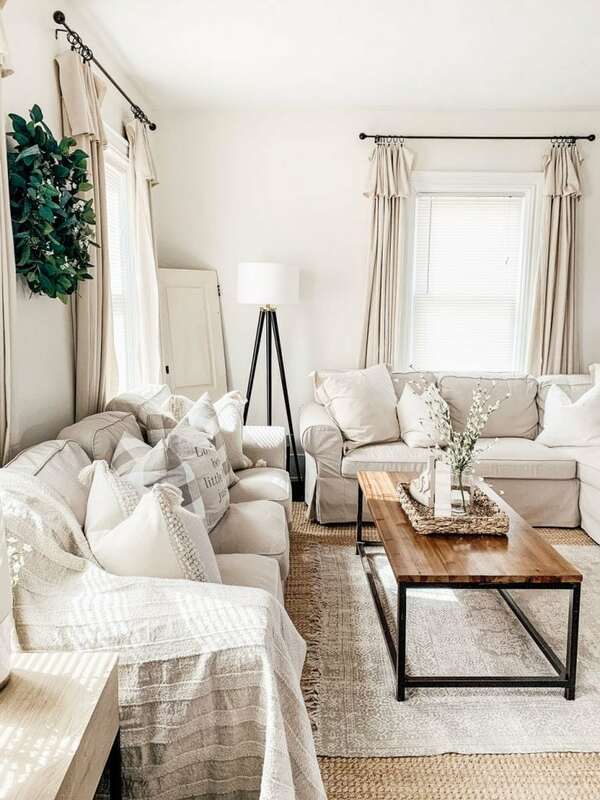 I like to stay pretty neutral with my color scheme, but if you like to add a little color light/pastel colors are perfect for spring and will still make your home feel light and airy. 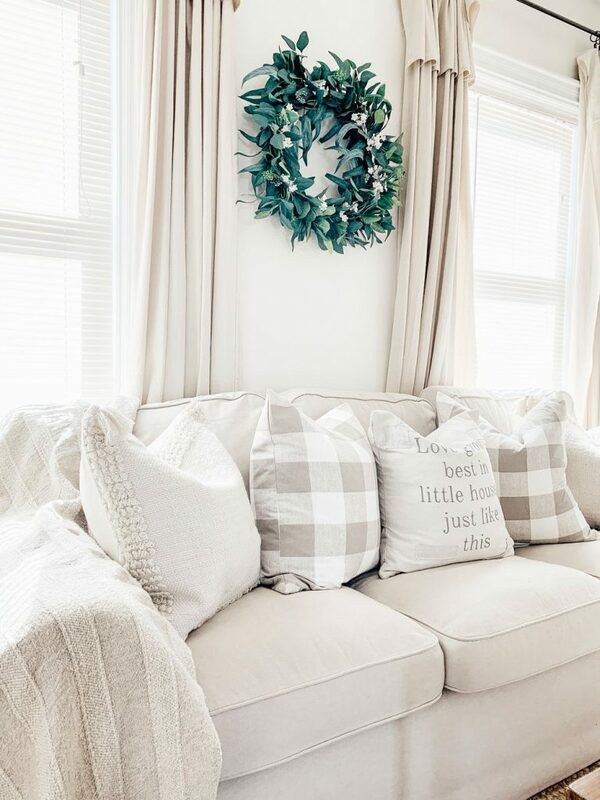 Switching out your throw pillows is a great way to give your home a new look. To keep it budget friendly, I recommend purchasing pillow covers and a nice set of pillow inserts. Once you have the inserts you will only need to purchase new pillow covers when you switch out your decor. 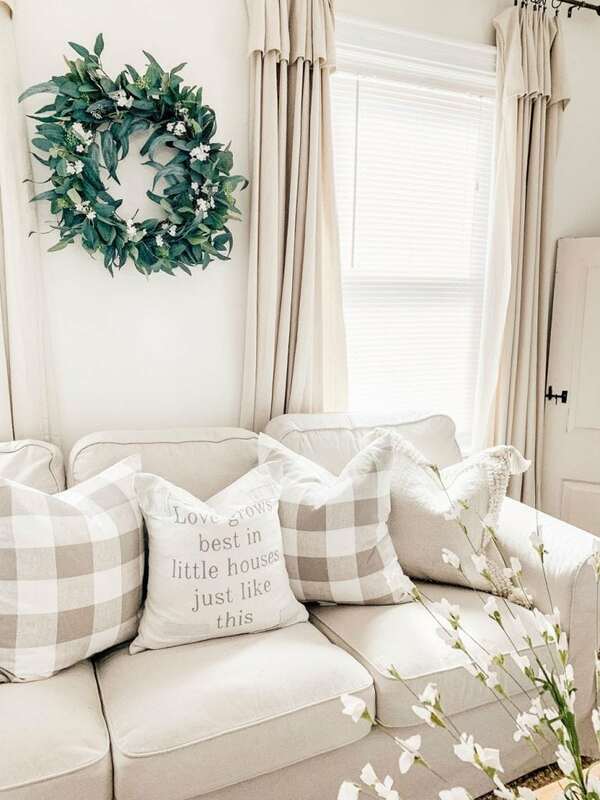 I don’t like to get too “themed” with my decor, that is just my personal preference, but I do like to add a few elements that I believe give spring vibes. 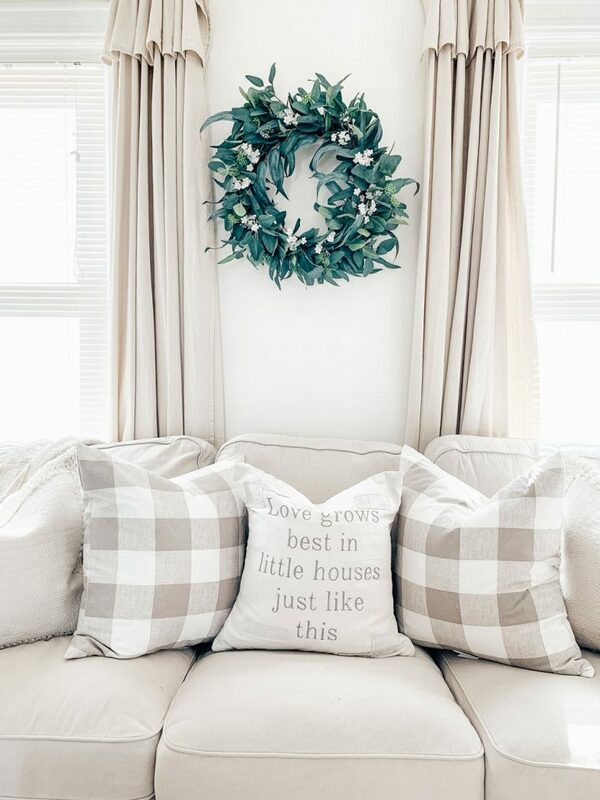 For me, items like straw market baskets, anything with stripes, terracotta flower pots, flower wall art/ metal signs, spring wreaths, anything garden related and spring themed throw pillows are perfect elements to add to your decor. Whether they are real or faux, flowers are a must for bringing spring into your home. I love flowers and really all plants. 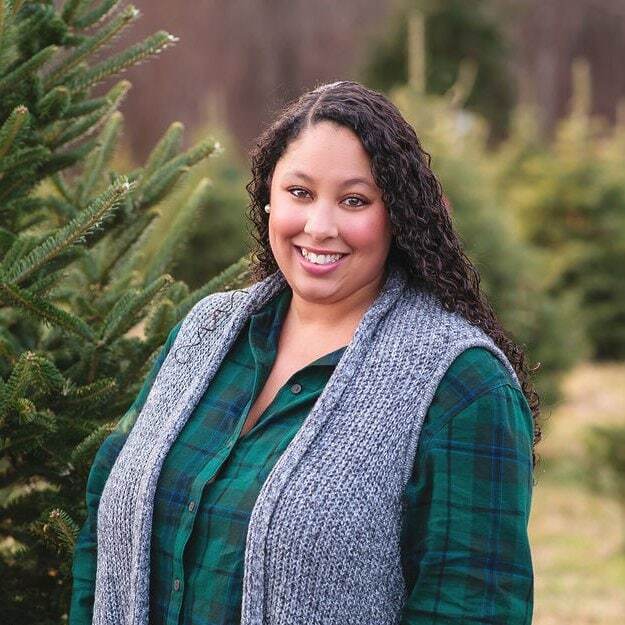 They are one of my favorite items to add to my home all year round and are so easy to decorate with. 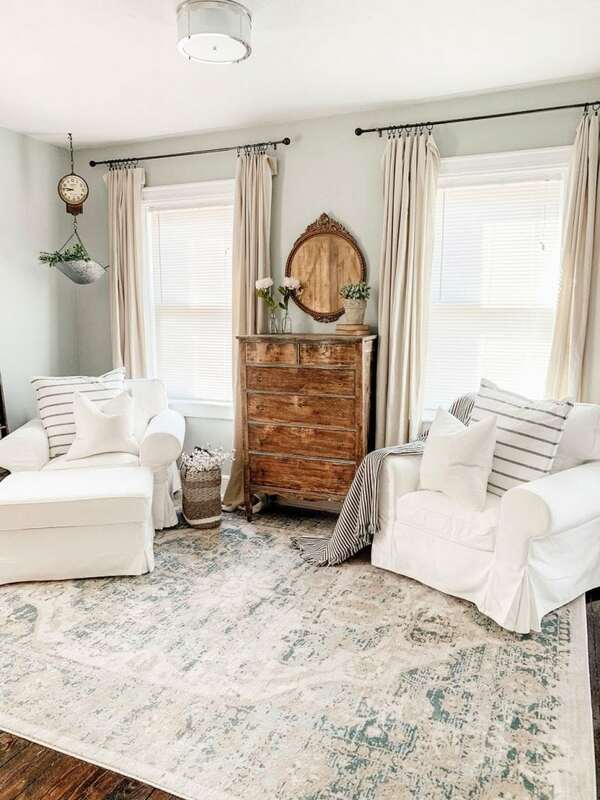 Spring is when the outside finally starts to turn green and the flowers start to bloom and the best way to bring spring into your home is to bring what’s happening outside in. This can be as easy as getting flowers at your local market and putting them in a vase. 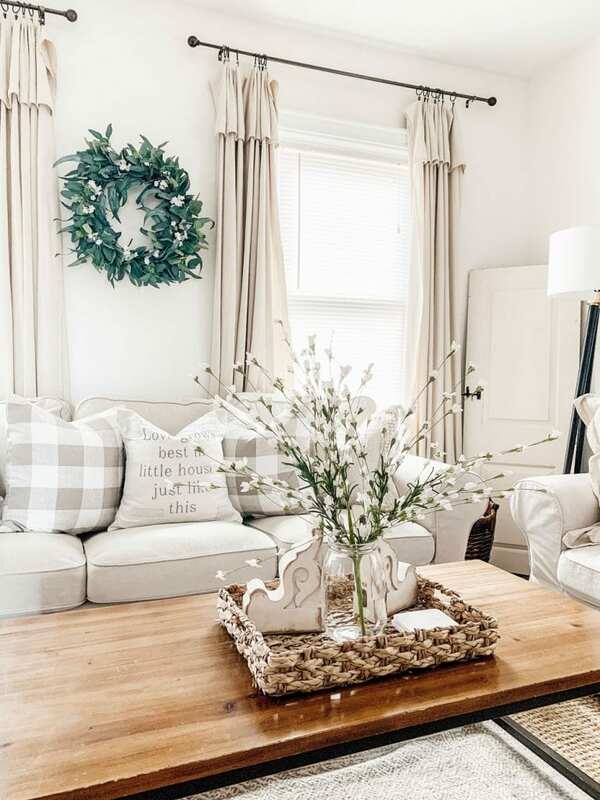 One way I incorporated flowers into my home was to add little white flowers to a wreath I already owned and it instantly made it a spring wreath. Want to save this for later? 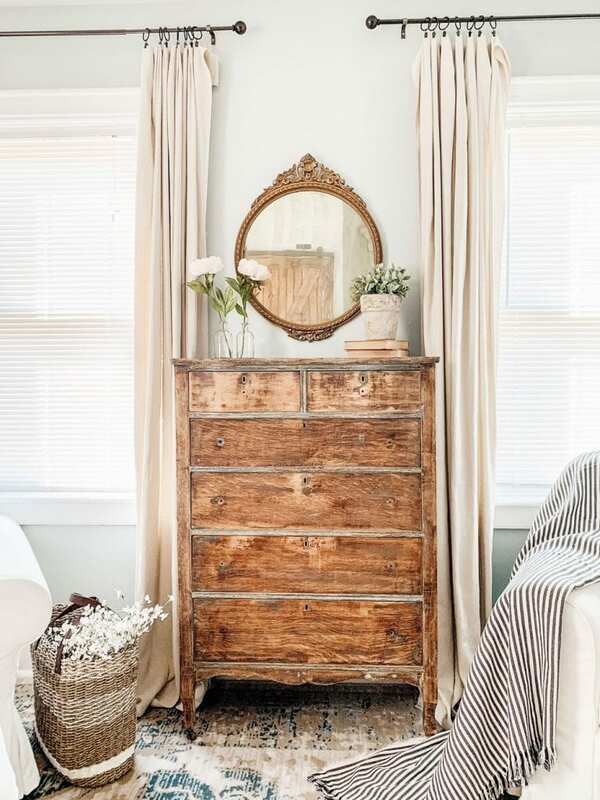 Post this Simple Ways to bring Spring to Your Home to your favorite Pinterest Board! 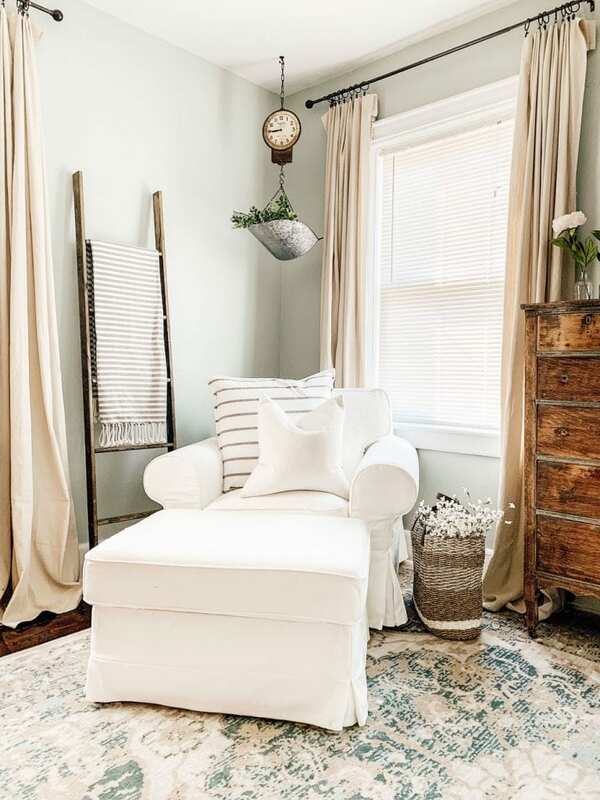 Your spring touches make your home so inviting! 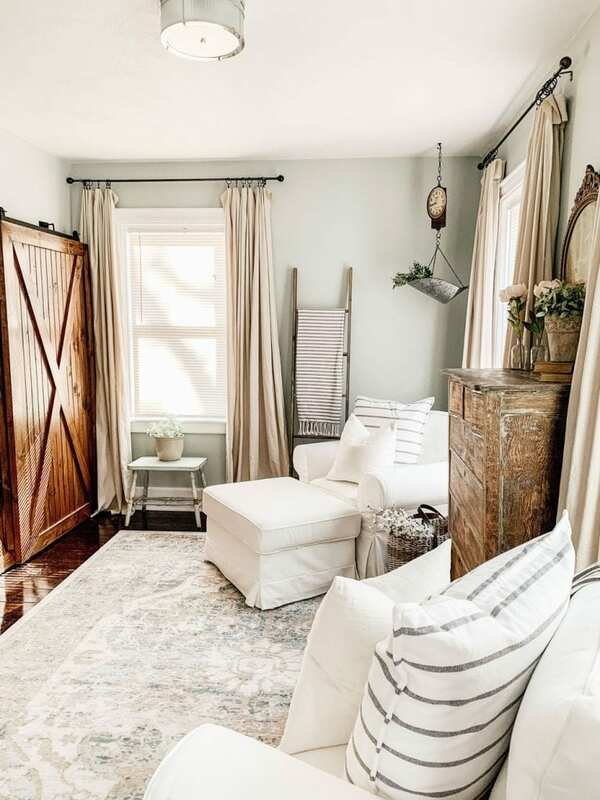 Really love the rug on top of the jute rug. Can you provide purchasing info on it? Keep up your beautiful work! I look forward to your posts.